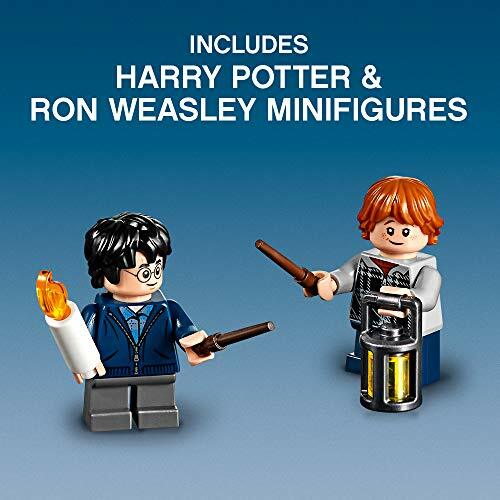 Contains 157 pieces, an ideal gift for Harry Potter fans! 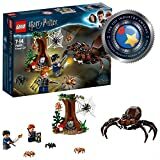 Help Harry and Ron escape the giant spider and his army of offspring in the Forbidden Forest. Use your magic wands and lantern to fend off the colony of spiders, flying cobweb and Aragog s fearsome fangs to escape the creepy hollow. 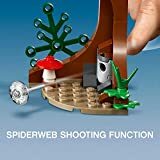 Tree has a spider web shooting function, attached spider web and a buildable red and white mushroom. 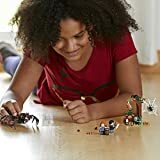 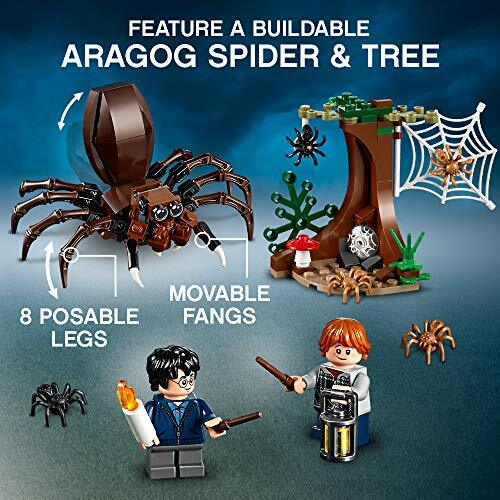 Aragog has eight posable legs and two movable fangs. 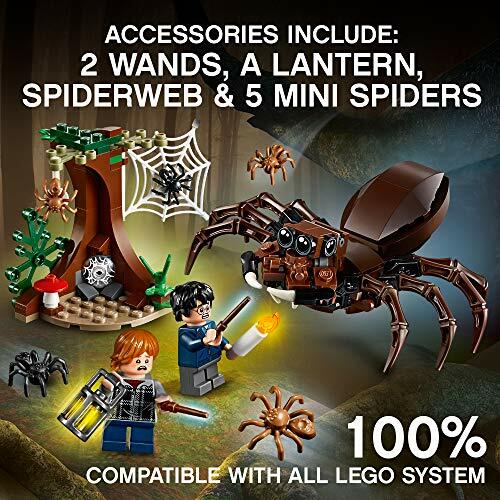 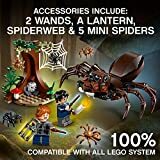 Accessory elements include two wands, a lantern, candle, spider web and five spiders. 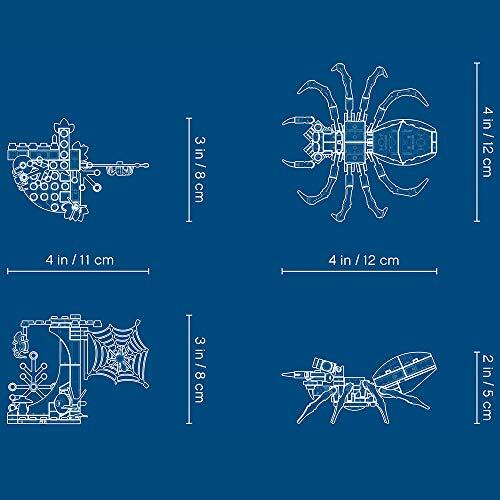 Tree measures over 3 Inch (8 cm) high, 2 Inch (7 cm) wide and 1 Inch (5 cm) deep. 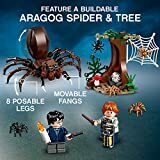 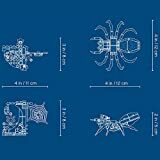 Aragog measures over 1 Inch (4 cm) high, 4 Inch (11 cm) long and 4 Inch (11 cm) wide.